The majority of working people feel like they are owed a promotion. Whether its long days at the office, being underpaid or sacrificing precious time with your family, we all expect to be rewarded for hard work. So, why are so many employees stalled on their way up the career ladder? There are a number of potential reasons why. Here, we will look at the main reasons why your promotion is eluding you and how to tackle these problems. It may sound harsh but this is the problem facing many individuals who are looking to advance. You have to remember, the people who are promoted are those who exceed expectations. If you are putting in the minimum effort, or even an adequate job, this is usually not enough to stand out. You may believe you are sacrificing a lot for your job but you need to examine your work objectively- are you really doing enough to warrant a promotion? The good news is, all is not lost- there is always time to aim higher. Those who are given greater responsibility, usually earn it through hard work. This means putting in more hours and using this time to give your boss more than they asked for. Productivity is incredibly important and this should be one of your main goals. Once you are excelling within your current position, ask your boss if you could take on more work. Yes, this does mean increasing your workload but this is usually what it takes to garner success. 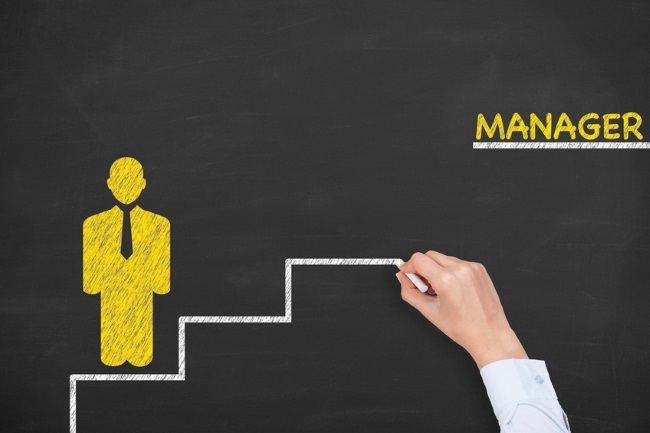 The majority of promotions facilitate a move into a position of leadership. Therefore leadership skills are paramount. If you are working hard without reward, you should ask yourself whether the problem could be to do with your potential as a leader. Qualities such as trustworthiness, teamwork and the ability to remain cool under pressure are all prized among employers. Fortunately, there are ways in which to improve on your managerial potential. For example, ensure you have a strong working relationship with your peers. This illustrates your ability to work within a team, something that will be noticed by your boss. Conversely, although team work is important, don’t be afraid to stand out for all the right reasons. Also, try to approach every obstacle in a calm and positive manner- even if you don’t particularly feel like it. Managers are faced with problems on a day to day basis and potential candidates will need to be able to cope with this pressure. It may seem obvious but you need to make sure that your boss actually knows that you are looking for a promotion. Those who quietly get on with their work may appear settled within their role and therefore could be overlooked when a position opens. In fact, there are many workers who don’t like the idea of a managerial position so you could forgive your boss for making that assumption. The way in which you broach this subject with your employer will depend on you, your job and the relationship between the two of you. As a rule, it’s best to approach the subject softly- after all you don’t want to put them in an awkward position. Organise a meeting with your boss to discuss your role within the company and the potential for advancement. Try to appear eager but focus on factors such as taking on more responsibility and personal productivity as opposed to positions and wages. Once your employer is aware of your ambitions, there is a much greater chance that they will consider you in the future. Earning a promotion can take a lot of hard work and determination but the potential benefits are definitely worth the extra effort for those seeking a step up. This entry was posted in Interviews & Buzz, Uncategorized on September 26, 2016 by First Directory.